The County's investigation is still ongoing. To date, three alleged animal abusers were fired from the facility and cited with criminal cruelty to animals. Studies show that when farmed animal abuse is broadcast on the news, it changes people's lives and eating habits. We're proud to say that our investigation continues to make headlines with the Associated Press, the Huffington Post, and other outlets covering this important story and exposing thousands of consumers to the miseries dairy calves are forced to endure. Our undercover video, released earlier this week, shows Quanah Cattle Co. workers cruelly dragging these fragile baby animals by their limbs, aggressively pulling them by their ears, lifting them by their tails, and kicking them off trailers as well as throwing and slamming them onto trucks. The violence in our video is heart-breaking, yet it uncovers the painful truth about how animals are treated behind closed doors − you can view our video online and we encourage you to share it with others. Prominent experts from Colorado State University have condemned the egregious abuses we caught on film. Distinguished animal science professors Dr. Bernard Rollin and Terry Engle agreed that these workers should be "prosecuted to the fullest extent the law allows." Another expert said our video has given the industry a black eye. The County's investigation is still ongoing. To date, three alleged animal abusers were fired from the facility and cited with criminal cruelty to animals. Studies show that when farmed animal abuse is broadcast on the news, it changes people's lives and eating habits. 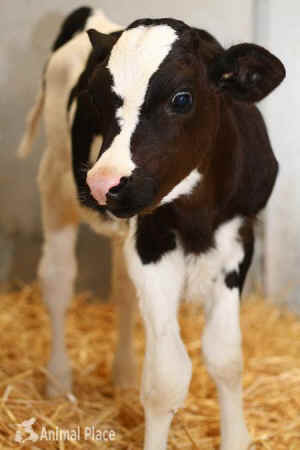 We're proud to say that our investigation continues to make headlines with the Associated Press, the Huffington Post, and other outlets covering this important story and exposing thousands of consumers to the miseries dairy calves are forced to endure. This isn't the first time heroic Compassion Over Killing investigators have exposed the ugly realities of animal agribusiness, and, with your support, it won't be the last. Our undercover investigators rely on the generosity of members like you to make their work possible. Please donate today so we can continue shining a bright light on animal abuse. Thank you for giving hope to the billions of farmed animals suffering in silence behind the closed doors of factory farms − and for helping us demonstrate the power of compassion.